First Solar, a leading developer of solar energy, has announced that it will begin work on breaking into the Japanese market. Japan has not been a priority market for companies like First Solar in the past, but the country has been growing more aggressive with its focus on renewable energy in recent years. The Fukushima disaster of 2011 triggered something of an energy shift in Japan and the country has been working to distance itself from both nuclear power and fossil-fuels. Today, Japan is home to one of the most aggressive solar energy feed-in tariffs in the world, which has boosted the adoption of clean power significantly. First Solar has announced that it will be investing approximately $100 million in the Japanese solar energy sector. Much of this funding is expected to help with the construction of new solar energy plants throughout the country. The power plants that will receive financial backing will be affiliated with First Solar in some way. The developer plans to partner with Japanese companies in order to bolster Japan’s solar energy capacity and will have some stake in the new solar power plants that are developed through its investment. First Solar currently boasts of 20 active solar energy projects throughout the world. The majority of these projects are located in America, with only two of these projects being located in Asia. Some of the companies U.S.-based projects are linked to the military and involve tapping into solar power for the sake of residential energy. The company has been looking to expand into new and promising markets around the world but has been somewhat cautious with its efforts in recent months. Japan has become an attractive home for solar energy due to the government’s stance on clean power. The country is home to various renewable energy projects, extending from fuel cells to geothermal power and beyond. 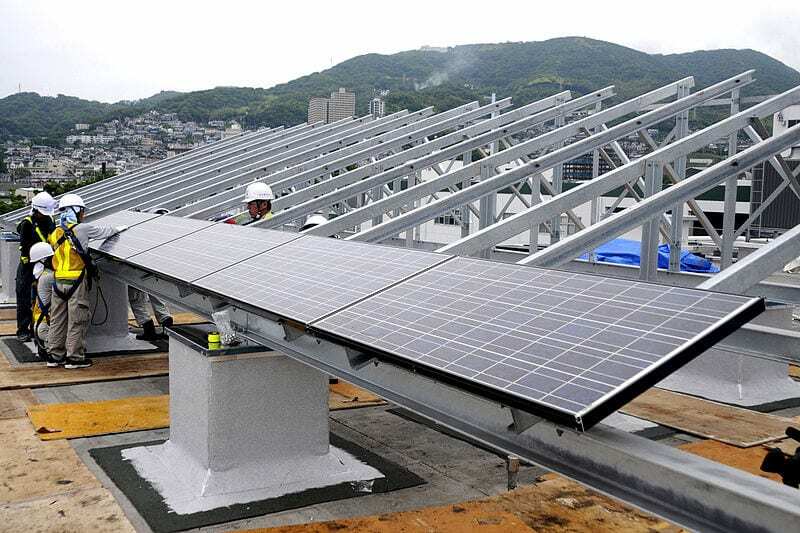 Solar energy is quickly gaining more attention throughout Japan as a possible source of residential power.